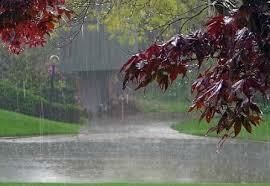 Monsoon have started and earth is in its complete beauty filling everyone with excitement and thrill. Everyone want to enjoy this season but utmost care must be taken since monsoon bring with itself lot of diseases and sometimes in over enjoyment we forget to take care about our health and it is we who have to suffer at last . So here are some few tips to stay healthy without compromising with fun. We should follow a proper balanced diet during monsoon since our digestion system start functioning slow and there are chances of infections so we must avoid eating those roadside chaats, samosas and those junk foods instead we should prefer taking antioxidants such as neem, turmeric, cucumber etc that will help us prevent infection. Besides this we must also prefer taking fruits such as bananas, apples, cherries and also vegetables such as carrot and radish that will help us maintain healthy balanced diet. Monsoon is the favorite season of mosquitoes and they become prevalent during this season and the chances of their attacks increases. So we must take proper care by flushing out the water from the coolers and flower pots since dirty water is called to be the breeding places for mosquitoes. We should also go for buying mosquito nets, sprays and lotions like Odomos or something like that so that we can protect ourselves from malaria and dengue. Proper body care need to be taken during monsoon like taking exercise no matter you can’t go out for morning walk or your outdoor exercise, practice yoga inside your house that will help you avoid respiratory diseases. Take proper rest but avoid taking sleep during the day time . 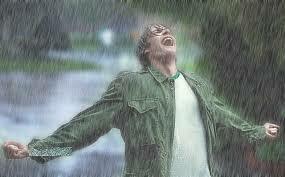 Everyone loves rain. As soon as rain starts our heart fills out with thrill and we want to bathe in the showers of rain be it a child or an adult. We must avoid this instead we must take warm water bath with dettol or savlon as antiseptic and proper soap should be used since these days our skin become dry and chapped. So enjoy your monsoon with pakodas and tea. You can also have home made soups instead of ready-made soups. Stay Safe and Happy Monsoon ! General Health, Health and Fitness, Health News and Updates, Health Tips. permalink.